Take a walk – sometimes your work pressure can drain your energy to such an extent that you’ll feel extremely tired and sleepy but at the same time your work demands you to stay awake to complete your work. So get up and take a brisk walk for 10 minutes this will boost your energy levels and help you regain your strength and alertness and you’ll be able to complete your task actively. Blink your eyes – if you are working on your computer throughout the day with your eyes fixed on the screen for hours this can make you feel tired can cause eye strain and make you feel sleepy. To avoid sleepiness you should blink your eyes in intervals to feel refreshed. Take a nap– yes taking a very short nap during your break hours can help you to be more focused and alert useful to do your work. 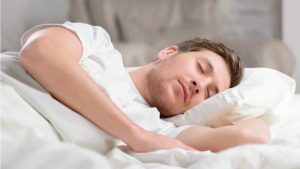 Sometimes taking a nap in your office might not always be possible, in such situations you can just close your eyes and take rest for 5 to 10 minutes and feel relaxed this will keep you stay awake and also boost your lost energy and help you feel alert and you’ll be able to continue with your work actively. Expose yourself to bright lights – if you are working in the dull lit environment you’ll definitely feel sleepy and fatigued. To make yourself alert and active expose yourself to bright light by increasing the intensity of light in your surrounding this will lift your mood and you’ll be able to stay awake to complete your work. Stays awake while driving – if you on a long trip and driving especially at night time it can be dangerous, because even while driving you may feel sleepy, the only way to feel refreshed is to open the windows of your car and turn on the music this will drive away your sleep. Drink water– if your body is dehydrated it can make you feel extremely tired and fatigued and you’ll feel like sleeping. To stay awake drink plenty of water and eat foods like fruits and vegetables with high water content.